So you’ve got your exercise plan done, you’ve moisturised your skin, now the last thing you need to make sure you’re summer and holiday ready is firmer skin. Summer is of course the season we all rock more skin-baring outfits and want to feel confident doing so. With the holidays fast approaching, who wouldn’t mind a firmer set of thighs to show off on the beach? Johnson’s has added two new products to their Vita-Rich range; two tissue oils that help to firm up those loose areas as well as nourish the skin. Cellulite and stretch marks weren’t really at the top of my worry list before I had my son. They were both there but they weren’t very noticeable. Now they’re headlining and I wouldn’t mind them returning to their previously discreet ways. So, anything that’ll help with my bum stretch marks and jiggly bits is very welcomed. 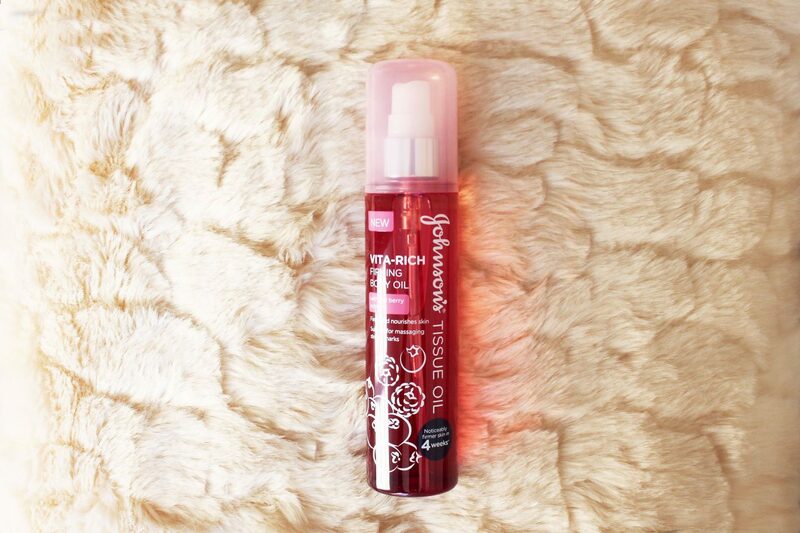 Johnson’s Vita-Rich oils pack multiple benefits in two pretty bottles. They’re both infused with natural ingredients to leave it looking noticeably healthier. They nourish dry skin. 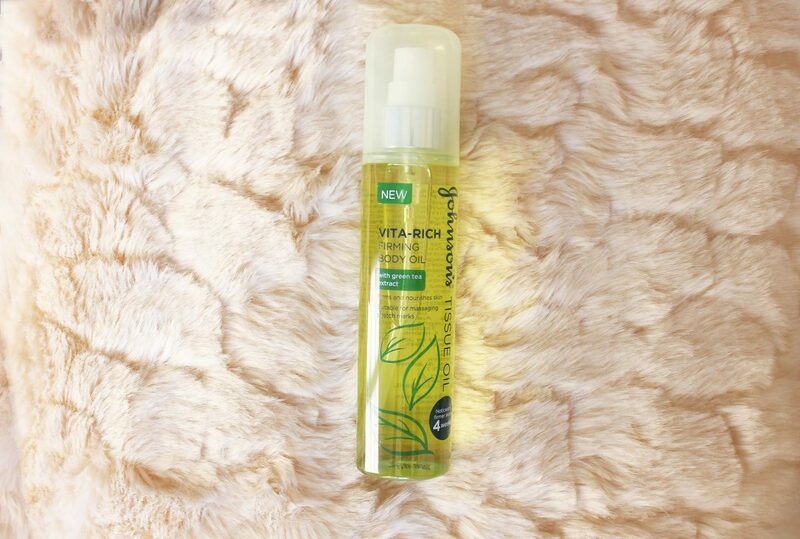 You know how much I love products that help my ashy-Joburg-affected skin out! They’re suitable for massaging stretch marks – yay! I love that they don’t have a strong scent and both the Green Tea and Red Berry smell fruity and a bit floral. I’ve actually avoided a couple of tissue oils because they smelled a bit too funky for my liking. And these ones have such a light consistency, I don’t have to worry about getting dressed straight away for fear of those horrible oil marks. The packaging is also cute and convenient as they come in spray bottles which make them a dream to carry as they don’t leak. This variant contains green tea extract as its key ingredient. It’s rich in anti oxidants, which protects skin from damage and ageing. This one boasts superfood red berry as its key ingredient. It’s also rich in anti oxidants, and has anti-inflammatory benefits. You can get both Johnson’s Vita-Rich Tissue Oils from all major retail stores for R109.95 each. Have you tried these yet? What did you and your skin think? *Sponsored by Johnson’s South Africa. Watch the Garnier #BeSensational Makeover Winners!